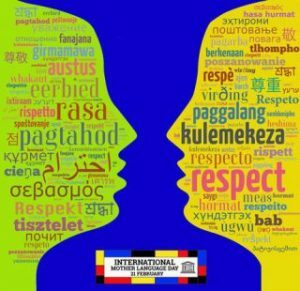 This week the world celebrates International Mother Tongue Day. February 21st is the date designated in 1999 by the United Nations to recognize the primacy of the home language in everyone’s culture. That language in turn is the most comprehensive path to the full understanding of a people and their values. The commitment of this day is that each of us has the right to freely and fully express ourselves in our mother tongues. That makes this day of recognition particularly important for schools that generously welcome (it is hoped) children from a range of home language environments. Background: Nearly one in ten K-12 children across the US speaks a language other than English at home. In states with higher concentrations of English Language Learners (the better term is bilinguals) that figure is closer to one in four. In 2015 over 16% of all Kindergarteners across the US were bilingual and the trend for that has been increasing. For that reason alone, speaking at least two languages can now be seen as a fabulous asset for everybody, not just children. 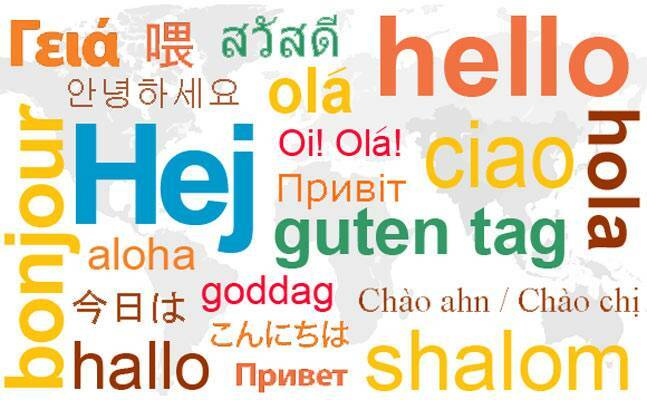 Increasingly, families, even those speaking English in the home, now recognize the powerful benefits of their children becoming fluently bilingual. Enlightened educators in the United States have come to appreciate that any full education will include recognizing and supporting each child’s native tongue while encouraging their learning English. Such irreplaceable assets maximize children’s chances for success both in and out of school. Now, it has become axiomatic that children can learn to read most easily through the use of storybooks and factual material with racially and culturally diverse names and faces. It also follows that these books be composed (or translated into culturally sensitive versions) by authors, both fluent in children’s mother tongues and sharing their cultural experiences and sensibilities. Publishers cannot possibly afford to print beginners’ books for children from homes of the 350+ languages now spoken in the United States. This suggests a natural move for early readers, to online, narrated picture books, within which languages can be chosen on demand by the readers’ families. Moving between the mother tongue and English versions of a book can serve, Rosetta Stone-like, for all of those who are new to English…or novices in the second language! Such digital books can be enjoyed by babies, toddlers and preschoolers, with the entire family involved. These early literacy experiences, will help them in learning essential concepts of books, print, reading, and writing, that provide a foundation for their learning to read and write in English when these youngest bilinguals arrive at preschool or Kindergarten. These resources are currently within reach, and lots of organizations, like ours are working on expanding such culturally enriched literacy resources for families around the world. One day, every day will be mother language day for linguistically diverse children. 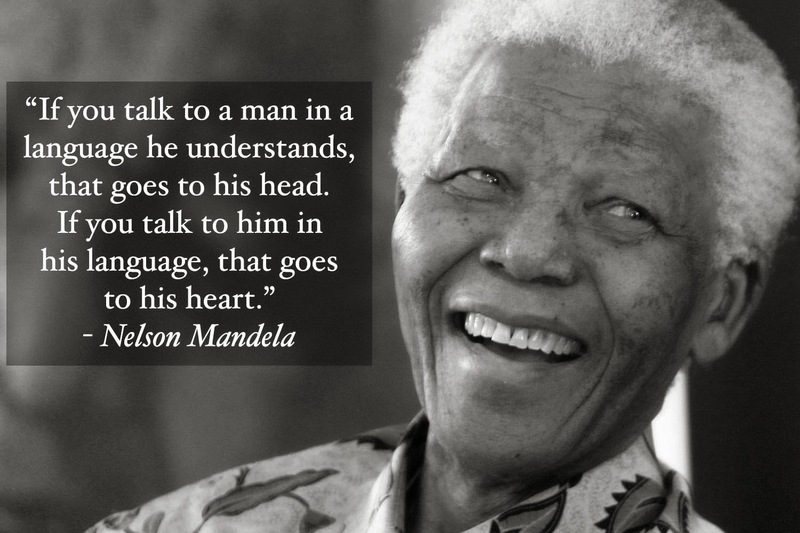 Nelson Mandela (1918-2013) was an anti-apartheid activist and past president of South Africa where there are 11 official languages.